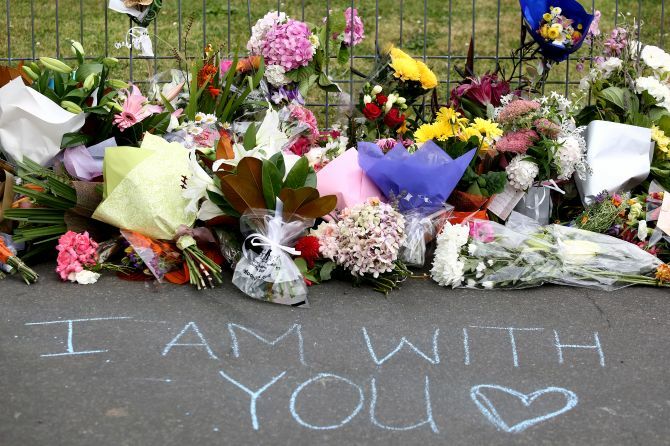 Thousands of kilometers away from New Zealand, four distraught families in Gujarat and Kerala are waiting for one last glance of their five relatives who were among those killed in a shooting at two mosques in Christchurch. The grieving families are trying to cope with the loss of their loved ones in the attack by a gunman which left 50 people dead. Among the deceased were a 28-year-old man from Gujarat, who was recently blessed with a baby boy, and his father, and an Imam who shifted to New Zealand three weeks ago, after his citizenship was confirmed. Farhaj Ahsan, an engineer hailing from Hyderabad, is also feared to have died and his parents are expected to leave for New Zealand Sunday night, a family member said. A grieving Yasmeen Vora from Vadodara said their relative Arif Vora, 58, went to New Zealand with his wife on February 14 to see their son Rameez Vora, 28, who was recently blessed with a baby boy. Rameez Vora, who was settled in New Zealand, took his parents to offer Friday prayers at the mosque when the incident took place, she said. "Arif's other son Raheel, who lives in Australia, confirmed that both Arif bhai and Rameez were killed in the attack," said the distraught woman. The family members approached Lok Sabha member from Vadodara, Ranjan Bhatt, who has assured help, she said. Hafiz Musa Patel, 56, an Imam hailing from Luwara village in Bharuch, who had gone to New Zealand only three weeks back as his citizenship had recently been confirmed, his relative Ayub Ghadi said. Patel was living in Fiji since the last three decades. His two daughters and three sons are settled in Australia and New Zealand," Ghadi said. "He had gone to the mosque to offer Friday prayers with his wife and a friend when the shooting happened. Bullets hit Patel in the back following which he was shifted to a hospital in Christchurch where he succumbed," he said. Besides, Juned Kara from Navsari in Gujarat was also among those killed in the attack, Superintendent of Police Girish Pandya said. "Kara, a native of Adada village in Navsari, was among those killed in the attack. It was confirmed last night," Pandya said. The Kerala Chief Minister's Office said that all efforts were being made to bring the mortal remains of a 27-year-old woman killed in the attack. Ancia Alibava from Kodungallur in Thrissur district, was pursuing MTech in an agricultural university there. She had gone to the mosque to offer prayers with her husband, Abdul Nazar, when the shootout took place. Ancia was reportedly in the women's section. Her husband managed to escape and informed relatives in Kerala about the tragedy. NORKA Roots (a department which provides all information pertaining to Non Resident Keralites) was in constant touch with the Indian High Commissioner in New Zealand, a statement by the CMO said. The high commission officials were informed by the New Zealand Police on Sunday morning that the body would be released within 24 hours. NORKA Roots officials said as soon as the body is handed over, it would be brought to Kerala within four days. Meanwhile, a pall of gloom descended on the young woman's hometown with her family waiting anxiously for her mortal remains to be brought back for the final journey. According to media reports, the family has also rejected the request of the New Zealand government to perform the last rites in that country. Kerala chief minister Pinarayi Vijayan in a Facebook post on Saturday, had termed as shocking, the report of Alibava's death. Khursheed, brother of Ahmed Iqbal Jahangir, a Hyderabad resident who is recovering after being shot, told PTI that he too would be travelling to the country. Khursheed was supposed to leave for New Zealand on Saturday night, but could not as he did not have a confirmed ticket, he said. All India Majlis-e-Ittehadul Muslimeen president Asaduddin Owaisi had tweeted on Saturday night that Ahsan, the engineer who is feared dead, had passed away. A cousin of Ahsan recalled his childhood and their stay at Hanmakonda (Warangal) in Telangana, saying he was a bright student who completed engineering from a city college.